February 7, 2019 – Fake or original? Even experts with a trained eye have difficulty answering this question in relation to historical coins. How, for instance, can forgeries returned to a museum instead of the coins loaned for an exhibition be recognized? How can switches and mix-ups be prevented among objects loaned by museums? Members of the staff at the Saxony-Anhalt State Office for Heritage Management and Archaeology were also seeking answers to these questions. Around 20,000 coins, often several centuries old, are stored in the State Office’s archives and vaults. The collection is constantly growing. Until now, this unmanageably wide array of historical coins has been laboriously recorded and documented and by hand. Unlike paintings, the coins may not be labeled, marked or barcoded. In search of a solution to this problem and as part of the state of Saxony-Anhalt’s digitization campaign that includes the digitization of cultural heritage, archaeological finds and historical coins, the State Office turned to the Fraunhofer IFF in Magdeburg. 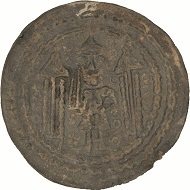 Scan of the base color of a coin issued by Konrad, Margrave of Meissen and holder of the coinage prerogative, mint date ca. 1150. © Fraunhofer IFF. “The State Office aimed to digitize its complete numismatic collection. This gave rise to the idea of creating a digital fingerprint with which individual coins can be recognized and classified – much like facial recognition of people. The fingerprint replaces the bar-code as it were,” says Dr. Christian Teutsch, research scientist at the Fraunhofer IFF, recounting the first contact with the State Office for Heritage Management and Archaeology. 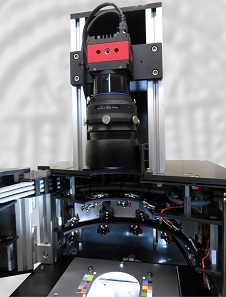 The closely collaborating partners designed a visual data acquisition system and software analysis system in their project “Digital Fingerprints of Archaeological Finds: Artifact Identification and Recognition Prototype”, which does this by digitizing and exactly describing the old coins and obtaining unique signatures from the coins. The scanning system had to achieve a recognition rate of ninety-eight percent or more, operate contactless, and acquire the data of both faces. Gold, silver, bronze and copper coins with diameters of five to seventy-five millimeters were tested. 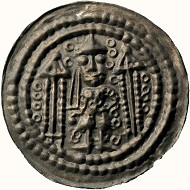 Coin surface scan. © Fraunhofer IFF. 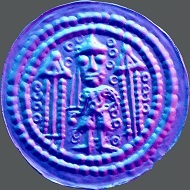 Combined coin base color and surface scan. © Fraunhofer IFF. The digitization procedure itself is simple: Once the barcode on the particular bag belonging to each coin has been scanned beforehand, the coins are placed singly under the scanner. A push of a button suffices to start the device. A specially developed optical analysis system reconstructs the color and surface features of the historical artifacts. The scanner captures over 1000 visual features per coin. The recorded images are interpreted as measurement data. Reference samples and color charts ensure that every image is standardized and its color space is comparable. This ensures that the image data can be compared among different institutions. In the next step, all of the measurement data are transferred to the analysis software, which uses the data to compute the digital fingerprint. “The software compares coins using the database, i.e. searches for their signatures. There was no way to identify them earlier. Knowledge about the find location and other information were lost if a bag fell onto the ground and the coin fell out,” says Teutsch. Now, states’ cultural heritage agencies and museums can make coin finds accessible to the public as well. What is more, all states’ coin databases can be crosschecked. Collaboration with the national KENOM coin database is also being taken to a new level. Numismatists can use the digital data to establish correlations among different coins or find locations and thus historical contexts of use. The complete system. © Fraunhofer IFF. More information about the work of the Fraunhofer Institute is available online. You can also find out more about the Saxony-Anhalt State Office for Heritage Management and Archaeology on the internet.